Hanukkah is an eight day Jewish Holiday, and today is the sixth day of Hanukkah. In Hebrew, Hanukkah means Dedication, for the Rededication of The Second Temple in Jerusalem in 165 B.C.E./B.C. to The MIGHTY GOD OF ISRAEL. That was the victorious conclusion of the Triumph, and Heroism of The Jewish People who were led by the Maccabees that fought a great war against a mighty Syrian army. In the days and years leading up to Hanukkah, so many Jewish People in Israel joined in with the Gentiles by disobeying Torah, The Law of Moses. The Laws and Teachings of GOD that GOD put in the hands of Moses for The Jewish People and all the world to live by and obey. And because of their disobedience to GOD by disobeying His Laws Written in The Law of Moses, GOD brought upon Israel and The Jewish People great punishment, and death, and grief from the wrath of the king of Syria, Antiochus Epiphanes that The LORD GOD brought into Israel to rule The Jewish People. And the king of Syria proceeded to forbid all Jewish People to live by GOD’S Laws written in The Law of Moses. And in his insane anger, he decided that he would kill all The Jews and make a complete destruction of The Jewish People. DANIEL 8.11-12 Because of sin, breaking Torah, The Law of Moses, (1 Jn. 3.4) GOD gave The Jewish People over to The Syrian king Antiochus Epiphanes who stopped the daily sacrifice, and the Truth, The Torah was thrown down. And the king prospered. The plan of the Syrian king failed because of The Mighty GOD OF ISRAEL, and a great number of Jewish warriors led by the Maccabees that routed the Syrian army and sent them back to Syria. The Maccabees, along with a large number of Jewish fighters used guerilla warfare, and open battle to destroy the war effort of the Syrian armies. As a point of information, Hanukkah was 2,183 years ago. Jerusalem has been The Capital of Israel since the days of King David, 835 years before Hanukkah. And today, 2,183 years after Hanukkah, Jerusalem remains the Capital of Israel and The Jewish People, and will always be The Capital of Israel and The Jewish People. The Maccabees were Levitical Priests from the Hasmonean Family Dynasty of Priests. They came to power in 166 B.C.E./B.C. when Mattathias, the elderly Priest of the Dynasty launched The Jewish Revolt against the Syrian armies and their king, Antiochus Epiphanes whose armies ruled Israel at the time with a brutal hand, and anti-Jewish atrocities killing thousands of innocent Jews; men, women and children. One year later, in 165 B.C.E./B.C., the result was victory, for The Jewish People, for Torah, GOD’S Law of Moses, and for The GOD of Israel. And The Jewish People declared Hanukkah, The Rededication of The second Temple. So why is Hanukkah so important, not only to The Jewish People, but also to the Gentiles throughout the world? Because, had the Syrians succeeded in destroying The Jewish People from off the face of the earth, The Sacred Writings of Tnakh, The Old Testament Scriptures that include The Teachings of GOD, and The Teachings about GOD, and The Laws of GOD in The Law of Moses for all the world to live a Righteous life in The Sight of GOD, all would have been destroyed by the enemies of GOD along with The Jewish People who wrote The Bible from The Lips of GOD. HATRED OF THE JEWISH PEOPLE IS HATRED OF GOD. Without The Jewish People, there would be no Jewish Messiah Yeshua Whom the world calls Jesus. There would be no atonement for sins. No Salvation, no Eternal Life, and no New Testament. There would be no Light of Truth in the world. But fortunately for the world, GOD ordained His Jewish People to be an Eternal People, a People who will remain forever as long as the new Heavens and the new earth shall remain before GOD. When Gentiles Bless The Jewish People, and Israel, GOD Blesses the Gentiles. When Gentiles live by The Law of Moses and every Word that GOD speaks in The Bible from Genesis through Revelation that Jewish People recorded for The Bible, GOD will bless the Gentiles. And all the families of the earth are blessed in The Jewish People through The Jewish Messiah Yeshua Who is GOD ALMIGHTY, for your Atonement, for the forgiveness of your sins, all your sins, when you have faith in The Messiah Yeshua and live by Torah, GOD’S Laws Written in The Law of Moses. 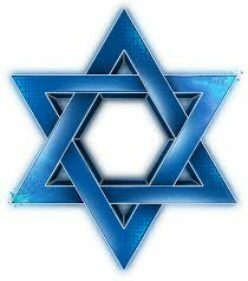 Yes, all the families of the earth are blessed in The Jewish People. A mystery rarely told. Hanukkah is not a Commanded Festival of GOD in the grouping of The LORD’S Festivals written in Leviticus 23. Hanukkah is a Jewish Holiday and nothing like Christmas, except both celebrate THE GOD OF ISRAEL. Hanukkah traces its roots to Alexander the Great who was the king of the ancient Kingdom of Macedonia. The Kingdom of Macedonia was in the region of the Balkans, and in Albania, Yugoslavia, Bulgaria, Romania, and northern Greece. And eventually Alexander the Great became the king of the world when he defeated the Great Persian Empire that included Iran, Syria, Egypt, and Israel. When Alexander died in his twenties, his Empire was divided into four Kingdoms. And Syria and Egypt, two of the Kingdoms, were continually at war with each other for one hundred years. And Israel served as a land bridge between those two Kingdoms. And Israel was torn apart by both invading armies. When the war ended, Syria took possession of Israel. And for a time there was peace in Israel until 175 B.C.E./B.C., ten years before Hanukkah, when Antiochus Epiphanes became the king of Syria. He was insane, and The Jewish People in Israel suffered because of him. From the very beginning of Antiochus’ reign, he hated The Jews because The Jewish People served The LORD Their GOD, The GOD of ISRAEL, and not the Greek gods of the Syrians. The Jewish People refused to accept Greek idol worship. And many Jews gave their life for Their Faith in The LORD Their GOD. And the king of Syria, Antiochus Epiphanes, forbid The Jewish People to observe Torah, The Law of Moses, the very Teachings of GOD. And then he sought to completely destroy The Jewish People. WHEN WILL THE NATIONS THAT HATE ISRAEL EVER LEARN? Antiochus Epiphanes placed Greek altars and Greek statutes everywhere in Israel. He dedicated The Temple, The House of GOD, to the false Greek gods, olympia an zeus. Pigs were offered on The Temple Altar. Pig blood was sprinkled inside The Holy of Holies. Their flesh cooked, and their broth poured upon the Temple Scrolls. And The Sabbath was forbidden to be observed. The penalty for observing The Saturday Sabbath was death. And Antiochus Epiphanes tortured and killed thousands of Jewish People. He desecrated The Temple with abominations. He even entered The Holy of Holies which even for a lunatic was a lunatic thing to do. And he ended the daily sacrifice to THE LORD GOD OF ISRAEL at The Temple. There were pigs in The Temple. And the Syrians stole The Temple Altar, The Menorah, and the precious Temple objects, and all the gold that was on The Temple. Jewish women were torn from their families and sold on the auction block for slaves. Or killed if they were found observing Torah, The Law of Moses. But from the little village of Modi’in, a man named Mattathias, an elderly Priest from The Hasmonean Family of Priests saw a Syrian officer approach The Temple Altar to offer a pig for a sacrifice. But Mattathias walked up to the Syrian and plunged his dagger into the Syrian’s belly. That was the beginning of The Jewish revolt. With GOD, that’s an unfair fight. The Syrians were dead men before the battle began. But many Jews gave their lives in the fight. But Judah Maccabee knew that the town of Emmaus was packed with Syrian fighters. And the Syrians blocked the road to Jerusalem. But Judah Maccabee took his men, and the two armies, The Jews and the Syrians clashed at the first rays of the morning sun. But it was quick, and soon over. The Syrians were routed, and surrendered. And the Syrian Commander came, and bowed down to The Jewish Forces to mark the victory of Judah Maccabee and The Jewish People, and The Mighty Power of The GOD of Israel. And The Jewish People returned to Jerusalem, but what they saw was sickening. The Torah Scrolls in The Temple were torn to pieces and scattered throughout. Dirt and filth littered The Temple. Statues of Greek gods and goddesses were seen everywhere in The Temple. And so many of The Holy Vessels were stolen. So The People braced themselves and scrubbed, and cleansed The Temple. And made a new Altar and new Vessels for The Altar. And they made other Holy things for The Temple that were stolen or desecrated. And on the 25th Day of The Hebrew Month Kislev, which was this past Monday, in the year 165 B.C.E./B.C., 2183 years ago, The Temple in Jerusalem was Rededicated to THE LORD GOD OF ISRAEL. And Hanukkah was declared. With the little flask of Oil, the only Holy Oil that was found in the destruction, The People lit the great Temple Menorah. And exceeding all expectations, the oil miraculously burned for eight days. And since that time, Jewish People around the world celebrate Hanukkah, The Festival of Light for eight days each year in commemoration of Their Great Victory over the Syrians. SO AGAIN, WHY DID HANUKKAH COME ABOUT? BECAUSE IT IS CRITICAL TO KNOW THE REASON WHY GOD BRINGS TRAGEDY, AND DEATH, AND GRIEF UPON HIS JEWISH PEOPLE, AND UPON ALL THE WORLD. GENTILES AND CHRISTIANS, YOU TOO ARE UNDER THE LAW OF MOSES WHILE YOU LIVE. JESUS SAYS SO IN MATTHEW 7.21-23, AND PAUL ALSO TEACHES THAT YOU ARE UNDER THE LAW OF MOSES WHILE YOU LIVE, IN ROMANS 7.1. WHEN YOU LIVE BY THE LAW OF MOSES, AND THOSE ARE GOD’S LAWS WRITTEN IN THE LAW OF MOSES, AND BELIEVE IN ONE GOD, THAT GOD BEING MESSIAH YESHUA, AND HAVE MESSIAH YESHUA FOR YOUR ATONEMENT, YOU ARE NO LONGER UNDER THE LAW OF SIN AND DEATH, BUT RATHER YOU ARE UNDER GOD’S LAWS THAT ARE WRITTEN IN THE LAW OF MOSES THAT GIVES YOU ETERNAL LIFE IN HEAVEN. HERE IS THE GOSPEL, THE GOSPEL OF GOD. OBEY EVERY WORD THAT GOD SPEAKS IN THE BIBLE. THAT INCLUDES THE LAW OF MOSES WRITTEN IN THE FIRST FIVE BOOKS OF THE BIBLE. KNOW AND BELIEVE THERE IS ONLY ONE GOD, AND MESSIAH YESHUA IS THAT ONE GOD. BELIEVE IN MESSIAH YESHUA FOR YOUR ATONEMENT. THAT IS THE GOSPEL OF GOD FOR A GOOD AND SUCCESSFUL LIFE ON EARTH, AND ETERNAL LIFE IN HEAVEN. Posted on December 9, 2018 Categories Shabbat MessageLeave a comment on WHY DID HANUKKAH HAPPEN? FOR MANY ARE CALLED, BUT FEW ARE CHOSEN. THEREFORE JOIN THE FEW WHO ARE CHOSEN, FOR THE CHOSEN INHERIT ETERNAL LIFE IN HEAVEN WITH GOD. We’re continuing our studies in Torah, The Law of Moses, from Deuteronomy 17.6-7. AND THE TITLE OF OUR MESSAGE IS, FOR MANY ARE CALLED, BUT FEW ARE CHOSEN. THEREFORE JOIN THE FEW WHO ARE CHOSEN FOR THE CHOSEN INHERIT ETERNAL LIFE IN HEAVEN WITH GOD. And with that said, let’s read Deuteronomy 17.6-7. DEUTERONOMY 17.6-7 This is straight forward language written in The Bible that two or more witnesses are required to put anyone to death for their crime. THIS CRIME THAT IS SPOKEN OF IS THE EVIL OF SERVING OTHER gods OTHER THAN THE LORD GOD ALMIGHTY, AND WORSHIPING THEM, OR WORSHIPING THE SUN, OR THE MOON, OR ANY THING IN THE SKY, OR IN IN HEAVEN. THE CRIME IS DEATH, GOD SAYS, AT THE MOUTH OF TWO WITNESSES OR THREE. GOD Commanded the witnesses to be first to stone the idol worshiper to death. And afterward the hands of all the people. So, you shall put the evil away from among you, GOD said. Of course, today, if anyone kills an idol worshiper, one who serves and worships other gods other than THE LORD GOD ALMIGHTY, the killer of the idol worshiper would be convicted of murder. THE TRINITY OF THREE DIFFERENT gods IS SIN. THE TRINITY IS PAGAN. THE TRINITY OF THREE DIFFERENT gods TEACHES THAT THE FATHER, THE SON, AND THE SPIRIT ARE THREE DIFFERENT gods. The doctrine of Christian orthodoxy, that is the approved Christian belief, teaches that Jesus Christ is the son of GOD, and very GOD “of” very GOD. Jesus, the Church teaches, is also of the “same substance” with The Father and The Holy Spirit, and is “equal” in power and glory to The Father and Holy Spirit. THE JESUS OF THE BIBLE IS NOT “OF” VERY GOD. JESUS IS GOD. GOD ALMIGHTY. JESUS, THE MESSIAH YESHUA, IS THE ONE AND ONLY GOD OF CREATION. AND JESUS, WHO IS MESSIAH YESHUA, IS NOT OF THE “SAME SUBSTANCE” WITH THE FATHER AND THE HOLY SPIRIT, AND “EQUAL” IN POWER AND GLORY WITH THE FATHER AND HOLY SPIRIT. THE JESUS CHRIST OF THE BIBLE IS THE FATHER, THE JEWISH MESSIAH, AND HE IS THE HOLY SPIRIT. THERE IS ONLY ONE GOD. THE FATHER, THE SON, AND THE HOLY SPIRIT ARE THE SAME GOD. THAT IS THE DEFINITION OF ELOHIM WHEN SPEAKING OF GOD ALMIGHTY. ELOHIM IS ONE OF THE HEBREW NAMES FOR GOD. ELOHIM IN HEBREW MEANS GODS. THE FATHER, THE MESSIAH YESHUA / JESUS, AND THE HOLY SPIRIT ARE ALL THE SAME GOD. THEREFORE GOD OFTEN REFERS TO HIMSELF IN SCRIPTURE AS ELOHIM. AND MESSIAH YESHUA / JESUS IS THAT ONE GOD. HOWEVER GOD SAYS THAT HE WILL BLESS THOSE WHO BLESS THE JEWISH PEOPLE. GENESIS 12.3, MATTHEW 25.31-46, EXODUS 20.1-3, DEUTERONOMY 5.6-7, DEUTERONOMY 6.4, MARK 12.29, ISAIAH 44.6,8, ISAIAH 45, 5-7, 14-18, ETC. THE CHURCH IS IN BIG TIME TROUBLE FOR TEACHING THE PAGAN AND ANTI GOD DOCTRINE OF THE TRINITY. JAMES 3.1 The masters that James writes about are those who teach The Bible such as Bible Teachers and Doctors of Theology. If those Bible teachers teach the pagan trinity doctrine of three different gods, or teach that The Law of Moses is abolished, teaching their Congregations not to obey GOD, those Bible teachers, James writes, have the greater condemnation. The followers of those false Bible teachers have condemnation, but the false Bible teachers receive the greater condemnation for teaching their lies. UNLESS THEY REPENT. FOR GOD IS A MERCIFUL GOD. ISAIAH 24.5-6 GOD TELLS THE WORLD IN PLAIN LANGUAGE WHY AND HOW HE WILL DESTROY THE EARTH. WHY WILL GOD DESTROY THE EARTH AND FEW PEOPLE WILL BE LEFT? BECAUSE GOD SAYS, THE EARTH IS DEFILED UNDER THE PEOPLE WHO LIVE ON IT BECAUSE THEY HAVE TRANSGRESSED THE LAWS OF GOD. THAT IS THE LAW OF MOSES AND THE WORD GOD SPEAKS IN THE BIBLE. GOD’S LAWS, AND TEACHINGS, AND INSTRUCTIONS ARE WRITTEN IN THE BIBLE IN THE LAW OF MOSES, IN THE FIRST FIVE BOOKS OF THE BIBLE THAT THE CHURCH AND CERTAIN MESSIANIC JEWISH CONGREGATIONS HAVE FOOLISHLY REJECTED BY TEACHING THAT THE LAW OF MOSES IS ABOLISHED. THEREFORE THE CHURCH AND THOSE MESSIANIC JEWISH CONGREGATIONS TEACH THEIR PEOPLE TO SIN AGAINST GOD BECAUSE THEY DECEITFULLY TEACH THAT GOD’S LAW OF MOSES IS ABOLISHED, OR EVEN OPTIONAL AS SOME MESSIANIC JEWISH CONGREGATIONS TEACH. THEY TEACH THEIR PEOPLE THAT IT IS NOT NECESSARY TO OBEY GOD’S LAWS. THEY TEACH THEIR PEOPLE NOT TO OBEY GOD’S COMMANDMENTS, OR HIS TEACHINGS, OR HIS INSTRUCTIONS. THE LAW OF MOSES CONTAINS ALL GOD’S LAWS FOR ISRAEL AND ALL THE WORLD TO LIVE BY AND OBEY. AND THE WORD OF GOD NEVER CHANGES OR ENDS. NOT ONE LAW, NOR ONE WORD EVER CHANGES OR ENDS. HOW CAN THE CHURCH AND THOSE MESSIANIC JEWISH CONGREGATIONS TEACH THAT THE LAW OF MOSES IS ABOLISHED? THAT IS ANTI GOD, ANTI CHRIST. GOD’S LAWS ARE NOT ONLY FOR THE JEWISH PEOPLE. GOD’S LAWS ARE FOR EVERYONE TO LIVE BY, AND OBEY, TO LEAD A GODLY LIFE THAT IS RIGHT AND PLEASING IN THE SIGHT OF GOD. ADD TO THAT, THE CHURCH AND MANY MESSIANIC JEWISH CONGREGATIONS HAVE BROKEN THE EVERLASTING COVENANT. THE EVERLASTING COVENANT IS GOD’S WORD THAT IS EVERLASTING, AND GOD’S LAWS THAT ARE WRITTEN IN THE LAW OF MOSES AND THROUGHOUT THE BIBLE THAT ARE EVERLASTING. THE CHURCH AND MANY MESSIANIC JEWISH CONGREGATIONS HAVE BROKEN GOD’S EVERLASTING COVENANT BY NOT TEACHING AND NOT FOLLOWING THE SPOKEN WORD OF GOD WRITTEN IN THE BIBLE FROM GENESIS THROUGH REVELATION THAT TORAH AND MESSIAH YESHUA SAY, THAT MAN DOES NOT LIVE BY BREAD ONLY BUT BY EVERY WORD THAT PROCEEDS OUT OF THE MOUTH OF THE LORD DOES MAN LIVE. BUT INSTEAD OF TEACHING AND OBEYING GOD’S LAWS, THE CHURCH AND MANY MESSIANIC JEWISH CONGREGATIONS TEACH AND FOLLOW CHRISTIAN DOCTRINE THAT DESTROYS ALL GOD’S LAWS. AND MOST CHURCHES AND MANY MESSIANIC CONGREGATIONS TEACH A TRINITY OF THREE DIFFERENT gods. I READ IN A POPULAR CHRISTIAN BIBLE DICTIONARY THAT ALL THEIR DOCTRINAL ARTICLES MUST ADHERE TO CHRISTIAN ORTHODOXY. NOT ACCORDING TO THE BIBLE, BUT ACCORDING TO CHRISTIAN DOCTRINAL BELIEF. AND THAT IS VERY UNFORTUNATE, FOR CHRISTIANS, AND THOSE MESSIANIC JEWS WHO FOLLOW CHRISTIAN DOCTRINE. THE CHURCH HAS CHANGED EVERY ORDINANCE OF GOD. THAT IS EVERY LAW, COMMANDMENT, AND SET TIME OF GOD THAT IS WRITTEN IN THE BIBLE. THE CHURCH HAS CHANGED GOD’S SATURDAY SABBATH TO SUNDAY, OR ANY OTHER DAY. THE CHURCH HAS CHANGED AND ABOLISHED ALL THE FESTIVALS OF THE LORD WRITTEN IN LEVITICUS 23. THE CHURCH HAS CHANGED GOD’S FOOD LAWS WRITTEN IN LEVITICUS 11 AND DEUTERONOMY 14 TO NO FOOD LAWS. AND MUCH OF THE CHURCH AND MANY OF THE MESSIANIC JEWISH CONGREGATIONS HAVE CHANGED ONE GOD TO A PAGAN TRINITY OF THREE DIFFERENT gods. THEREFORE THE CHURCH AND MANY MESSIANIC JEWISH CONGREGATIONS DO NOT TEACH GOD’S MESSAGE OF SALVATION. BUT RATHER THEY TEACH NO SALVATION BECAUSE THEY TEACH ANOTHER JESUS. THEY TEACH A TRINITY OF THREE DIFFERENT gods. AND THEY TEACH WITH ENTHUSIASM THAT ALL GOD’S LAWS WRITTEN IN THE LAW OF MOSES ARE ABOLISHED. PAUL LIVED BY TORAH, AND TAUGHT OBEDIENCE TO TORAH, THE LAW OF MOSES THAT ALSO TEACHES ONE GOD AND NO OTHERS. GOD HAS NOT, NOR WILL HE EVER ABOLISH HIS LAW OF MOSES, OR HIS WORD WHICH HE HAS COMMANDED TO A THOUSAND GENERATIONS. THAT IS FOREVER. SO, HOW WILL GOD DESTROY THE EARTH? GOD WILL DESTROY THE EARTH WITH FIRE. AND GOD SAYS, FEW PEOPLE WILL BE LEFT. SOMETHING WE MIGHT CONSIDER BECAUSE OF THE FIRES THAT RAVAGE CALIFORNIA ALMOST EVERY YEAR. GOD’S SALVATION MESSAGE AND HIS GOSPEL WRITTEN IN THE BIBLE REQUIRE OBEDIENCE TO EVERY WORD THAT GOD SPEAKS IN THE BIBLE FROM GENESIS THROUGH REVELATION. AND THAT INCLUDES OBEDIENCE TO ALL GOD’S LAWS THAT ARE WRITTEN IN THE LAW OF MOSES. THAT MEANS STARTING YOUR LIFE ON THE PATH OF GODLINESS. LIVING BY EVERY WORD GOD SPEAKS IN THE BIBLE. AND GOD’S SALVATION MESSAGE AND HIS GOSPEL IS SERVING AND WORSHIPING ONE GOD AND NO OTHERS. KNOWING THAT YESHUA THE MESSIAH IS THE FATHER, GOD ALMIGHTY, THE ONE GOD. AND GOD’S SALVATION MESSAGE AND HIS GOSPEL FOR ATONEMENT IS HAVING FAITH IN MESSIAH YESHUA. THEREFORE JOIN IN WITH THE FEW WHO OBEY GOD, HIS EVERY WORD THAT IS WRITTEN IN THE BIBLE, AND BECOME PART OF THE CHOSEN. FOR THE CHOSEN INHERIT ETERNAL LIFE IN HEAVEN WITH GOD. Posted on December 2, 2018 December 3, 2018 Categories Shabbat MessageLeave a comment on FOR MANY ARE CALLED, BUT FEW ARE CHOSEN. THEREFORE JOIN THE FEW WHO ARE CHOSEN, FOR THE CHOSEN INHERIT ETERNAL LIFE IN HEAVEN WITH GOD.